Sorry, this item is out of stock but will be back soon. 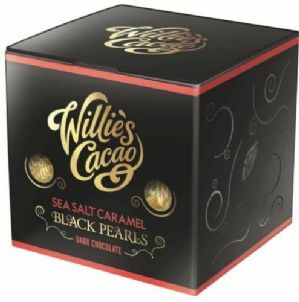 made with 71% madagascan dark chocolate, these pearls are filled with molten caramel with sea salt flakes, individually twist wrapped. ingredients: sugar, double cream, cocoa mass, glucose from wheat, butter, cocoa butter, sea salt. contain traces of all nuts. © Copyright Confection Affection All rights reserved.